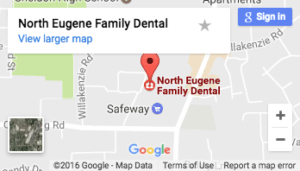 Here at North Eugene Family Dental, your choice for Eugene, OR dentist, we want to say thank you to all of our great patients and family members who help make our practice so wonderful. We love the Thanksgiving holiday and we want to wish you and your loved ones a happy holiday season. We are grateful for all of our wonderful patients and your beautiful smiles. We are grateful for the wonderful advances in technology that allow us to give you the best care possible, and we are thankful for each other as we work together to create a compassionate environment for oral health care. Because we love Thanksgiving we put together a blog of the best Thanksgiving foods for your teeth. Topping the list of great foods for your teeth is the famous Thanksgiving centerpiece – turkey. Turkey has a lot of protein in it, which is great for your body and teeth. Maybe you don’t eat meat, if that is the case you can still get good protein. You can choose healthy foods and meat alternatives that will be good for your smile. Foods that have protein are great for your body and teeth. Turkey, and leafy greens have the type of protein you need to increase bone strength. These types of food can help improve your smile. Eating more high protein foods will give your bones the added boost they need. A healthy diet that is rich in protein will help you feel more balanced as well. This holiday season and on Thanksgiving day, there is no need to stuff yourself on fattening foods, instead choose foods that are high in protein and you will be smiling long after Thanksgiving day. We love milk because of all the protein and calcium which can improve the strength of your teeth. Calcium is a great ingredient to put into your diet every day. The reason being it is a great way to improve your bone healthy. People who don’t drink dairy milk have alternatives like coconut milk, soy milk and of course rice milk, which are all fantastic alternatives to dairy milk. Calcium is a good source of protein but it helps improve the quality of your bones and teeth mainly because of the calcium. It will strengthen the tooth’s enamel. This thanksgiving you can enjoy many types of foods that are baked and cooked with dairy. Your teeth will thank you in the long run for the added calcium boost. We love water and recommend it to patients, but on thanksgiving most people don’t think about water. We understand the food takes a priority on the feast day, but drinking water throughout the day and between bites will help improve the quality of your teeth. Water helps stimulate the salvia flow in your mouth, which can remove unwanted bacteria in your mouth. This can decrease the potential for cavities build up. If you want to feel better this holiday season drink more water and carbonated water is a great choice instead of wine, beer or soda. From all of us at North Eugene Family Dental, happy thanksgiving to you and your loved ones.